Get yourself to Switzerland ASAP – it's festival and conference time! Kicking off tomorrow, Thursday, January 31st, in Zurich and running until Sunday, February 3rd, Ludicious is an event focussed on the art and craft of game development. This is the fifth time the event has taken place. Pocket Gamer will be there again, taking in the expo, talks and unique exchanges between designers, artists, business leaders, scientists, technologists and students. 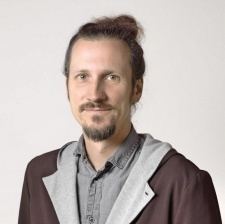 We caught up with artistic and program director Tobias Kopka and quizzed him on why international games industry folk should head to Zurich. If you are interested in joining us there, there's still time (just!) and we a have a discount code you can use – scroll down to find it. PocketGamer.biz: What makes the event special? Tobias Kopka: Ludicious is typically Swiss: quality over quantity. It is designed to be focused, with two stages only, but a high-quality program, and amazing people to network with. The space is very conveniently structured, so you have a high chance to bump into people like our speakers or partners more than once, so personal conversations and relations have the time and space to develop, which is one of the core experiences important to us. Beyond the event and venue design, it's of course also the unique positioning of Zurich, close to the lake and the very high mountains, placed in the heart of Europe. Less figuratively I´d say it´s one of the few spaces where business and art are coming together in the same space. Ludicious is meant to bring thoughtful and sometimes provocative conversations on stage while bringing people and companies together at the same time for taking next steps together. In short: food for thought and for your pockets, too. What gives the local industry its unique flavour? Switzerland is known for high standards and excellent quality. It is innovation-driven and hosts many renowned universities and art schools like our partners at ZHdK and the ETH. It is also home to big international players like Google, Facebook or the Disney Research Lab. Game development-wise, art and design excellence, the community feeling and also the mix of influences from different cultural and language regions make up the special tone. What is Switzerland’s big challenge for the year ahead? Funding and building an ecosystem attracting and also developing howe-grown home-grown who can mentor the next generations to come. Why should people from outside the region come along and take part? The speaker line-up is high quality and international, everybody is approachable and relaxed, as each of us took the time to be at Ludicious, so it´s a very unique mix of business and art, food for thought, personal exchange and all of that in one of the best places in the world. And on the business side, we´ve also reached the critical mass of companies attending that a trip to Zurich is worthwhile to go - not to mention the fact you can go skiing or mountaineering just an hour away by public transport from the Ludicious venue. So maybe take off an extra day! Can you give us a flavour of some of the games that will be exhibited? The focus is innovation centred: each game needs to show something unique in its approach especially to game design and gameplay, and it is for us very important that all teams are physically on site. On one hand to support the international community, helping Swiss devs connect, and also to support teams in actual matchmaking with interested publishers, press or even the public. And what talks are you most looking forward to? What highlights should people definitely have on their agenda? Robin Hunicke, producer of Journey, recently working on Luna and Wattam (with Keita Takahashi), who will be speaking about designing our future mixed and hybrid realities; Richard Lemarchand, ex-Naughty Dog and now at USC in LA, one of the nicest people in the industry and best speakers I know (who will challenge us how to produce a healthy and a happy game); Rami Ismail, recently active with meditation games and Gamedev.world, a super-exciting new approach on conferences; Steve Gaynor, Co-Founder of Fulbright (Gone Home/Tacoma); Anita Sarkeesian from Feminist Frequency and Farell Edwards, tech lead on THE VOID; also Saku Lehtinen from Remedy to mention a few. And also on the business side, unmissable talent will be around: for example, Raw Fury, Ubisoft, Nintendo and Good Shepherd will be on stage or in matchmaking. How has the Ludicious event grown since its first inception? I joined summer 2017 from Quo Vadis and Respawn and can only speak for numbers of the last year where we went from 500 to 650 people and this year we are expecting 750 individuals involved in the festival. I don't fluff around here as many events wing their numbers, in our case it´s the actual number of people with a name and a role and a badge. Is there still time for people to submit themselves as speakers, exhibitors or volunteers? Due to a last minute cancellation, we have one spot left in the exhibition. The speaker slots are fully taken and also volunteer shifts are covered. However, we are always interested in suggestions for outstanding speakers or interested partners in future years. And of course, we will always find something to do for volunteers. There's a public element to the event too, right? Why is it important to you to have a consumer event as well as the b2b conference? The consumer side is our outreach side to the local and regional community, to involve people interested from other interfacing domains like other media or interactive designers or programmers, artists and creative types. Also, we want to be open to families and young up-and-coming talents, hence our last day on Sunday consists solely of workshops for this group. This is to show an alternative, but also a professional, side of games and development aside of the opportunities the big brands can provide: games can be art and culture, but still polished and fun! What’s the purpose of the ZHdK Interactive Experiences summit? We are working together for the third year in a row. As one of the leading game design schools in Europe, ZHdK (Zurich University of the Arts, with the subject area of Game Design) our partners curated an afternoon with renowned speakers in collaboration with us. This year’s summit is called 'A Playful Reflection On Society' and focusses on the social dimensions tackled in and via games. Steve Gaynor, Philipp Steimel, Leonard Manchieri, Paintbucket and Anita Sarkeesian all delve into subjects like social issues, real-life game design, riots and games, representing history or tackling social diversity in game development. There’s also an awards ceremony on Friday, 1st February. Please tell us a little about what we can expect from that? The Ludicious and SGDA award show is an exclusive, invite-only event. 11 games are nominated for the Ludicious 'Innovation in Games' Award, six for the Ludicious 'Emerging Talent' Award. Both awards are focussed on honoured talent from small and mid-size teams with an international focus. Together they win up to CHF 12,000 and can earn a booth at Indie Booth Arena at Gamescom or (thanks to our partnership with the Indie Prize) win a spot at Casual Connect in London. The keynote speaker is Rami Ismail from Vlambeer. The awards are run in partnership with the Swiss Game Developer Association (SGDA), which focusses on honoring Swiss excellence, and each year nominates five Swiss games for the Swiss Game and also the Audience Choice Award. What are the big global games industry trends in 2019 from your perspective and how will they be addressed at Ludicious this year? There are many, as there are - again - exciting and also sometimes frightening times coming up. Addressed by many is further market consolidation, and that sounds so easily said, but will hit probably many studios focussing on well-trodden paths. Some of the big challenges are definitely still discoverability and funding. New ones will be fragmentation of platforms and sales channels, in general, more complexity to tackle, before new standard platforms and clarity emerge. At Ludicious we decided to focus on the social and personal side of game development facing these general trends. So veterans and newcomers will exchange on healthy work and studio culture in a maturing industry. But we also want to focus, of course, on the exciting challenges to come, from exploring design on new platforms (still XR), post-mortems and lessons learnt by invited speakers, and also our nominees sharing freshest experiences on their games. Are there networking opportunities at the event? his year we are very happy as the growth is happening organically. More than 180 companies signed up to date, including Nintendo, Ubisoft Paris, Raw Fury, Good Shepherd, Wooga, MTG, 505 Games, HandyGames, Kickstarter, Splash Damage and many more. Receptions and drinks? Sure, that´s covered as well! Thursday until Saturday each evening has a special flavour, from A MAZE. Hypertalks on Thursday to Marioke and the Ludicious and SGDA Awards on Friday, to Demoscene Live-Visuals on Saturday. If you had one piece of advice for studios planning to attend Ludicious for the first time, what would it be? Just immerse yourself in the atmosphere and be open for exchange with other domains. Expect to enter a space which feels personal and professional alike, where you build friendships but also talk business and return with lots of new impressions. This is our mission: to bring as many people from different backgrounds together, so everybody has to jump a little over their shadow and get to know people and opportunities emerging in other domains. We are convinced that this is where the new stuff happens: where things on the brinks of what we know converge. Ludicious runs until Sunday in Zurich, Switzerland. There's more information at www.ludicious.ch (and you can get a 15 per cent discount with the code: PocketGamerAtLudicious19). Look out for Pocket Gamer's Natalie Clayton and Stefan Metaxa!